Do you see yourself as an equal partner in making the world a better place? How do you self-soothe yourself? When do you stop to notice your blessings and are grateful? How do you practice being awake, aware, mindful... regularly? Who do you share your dreams with? When do you stop, reflect and plan strategically? When did you say "Yes, and…" instead of "Yeah, but…?" How do you honor your uniqueness? Do you see yourself as a leader, balanced in all worlds? How do you see yourself as resilient? Are you ready for the change your coaching collaboration will stimulate? Are you aware of the emotions that drive you? 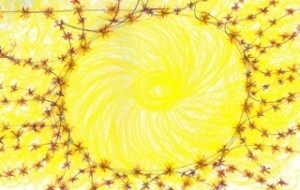 Are you aware of the natural cycles we all flow through... narrow to expansive, open to closed? 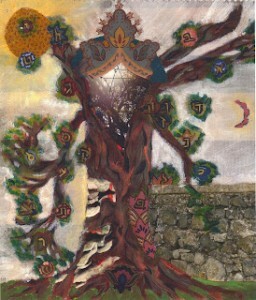 Welcome to Reb TZiPi’s website. We are delighted you have come to visit, look around and see what we have to offer. You will be stimulated to ponder on the questions, and consider connecting so we can begin our work together. I earn my living doing the things I love, by building partnerships with leaders as an executive coach, through leadership development training and by teaching mindfulness practice. I also create workshops about leadership focused on visioning and storytelling for the organization, executive team or groups of colleagues. My job is to create sacred space where learning about Self is serious fun. And by asking questions and offering clear reflections of the stories you tell and by supporting you as you gather your inner and outer support to move you forward into the variations of your unique and individual flow in the ‘River of Light.’ I am clear that you lead one life, so we will be doing some cross training between home and work to share your skills in different venues. This web site is about honoring universal truth. As an ordained rabbi, I am steeped in mystical Hebrew Wisdom and influenced by Indigenous American traditions, Buddhism, Hindu, Islam, Chinese, Christian and Sufi wisdom. TZiPi is a traveling rabbi-teacher and woman of the world. Her primary kavannah-intention is to heal the world one heart at a time. She does this by being a role model and practicing what she wants to see happen in the world. This web site is about honoring universal truths, from where TZiPi sits as a privately ordained rabbi steeped in mystical Hebrew Wisdom; simultaneously knowing that my well being and awareness is influenced by Indigenous American traditions, Buddhism, Islam and Sufi traditions, Christianity and Chinese Wisdom. 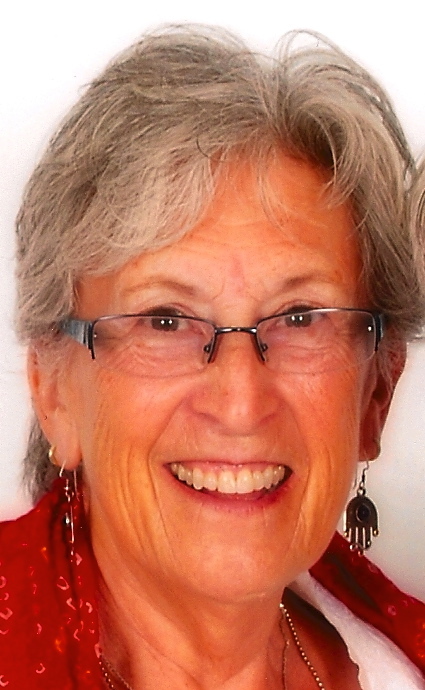 As a life long learner, she continues to build and to integrate her varied life experiences and roles and life styles-working class, northeast intellectual, daughter, mother, wife, divorcee, single mom, sister, friend, lesbian, occupational therapist, counselor, chaplain, rabbi– into her collaborative work. She encourages clients to welcome home all parts of themselves. 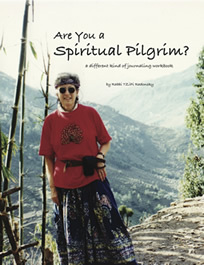 TZiPi is a writer, artist and is committed to a spiritual practice of mindfulness. TZiPi likes to say that she listens deeply to her clients, helping them get what they want. 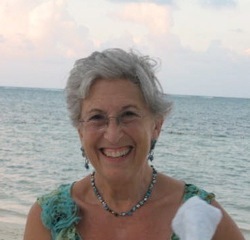 TZiPi received a Bachelor of Science in Occupational Therapy from the Medical College of Georgia, a Master of Health Science in Occupational Therapy from the University of Florida and a doctorate in Counselor Education from the University of North Carolina at Greensboro. While in Greensboro, she became affiliated with the Center for Creative Leadership. She has worked and traveled for them to several continents, Australia, India and Brussels to coach and train. In the summer of 2005 she became an ordained rabbi through private Smicha and brings her whole self into each encounter. 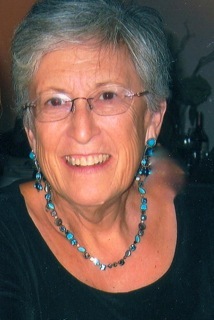 TZiPi now lives in Port Royal, South Carolina. Take advantage of one of the fastest growing professions today. Sponsored by the International Coach Federation – New York City Chapter (ICF-NYC), Coach Chat hooks you up with some of NYC’s leading coaches. When TZiPi was born, she was given an English name, which she used for many years. She was also given a Yiddish name, after a paternal great aunt. Here is the story. Fagga Tuby means good bird, and Tziporah means bird. At the age of eight, the name was not a favorite of TZiPi’s. She was neither a birdbrain nor did she eat like a bird. TZiPi means little bird. And TZiPi liked that name and decided to try it out. At that point, she decided to be in integrity and make life simple and use the same name she signed her artwork with. During this time, she had begun studying Judaism and she learned that in the Torah there are only consonants, no vowels. And being the creative person she is, and in honor of the consonants in her name, she capitalized them, TZiPi. And she began using TZiPi as her name on her nametag. One of her clients commented that he liked the spelling and that she ought to use it as her brand. She liked that idea and kept it. Frequently, people ask TZiPi how to pronounce her name. She tells them that the TZ is like a ts sound as in the word pants. And that she learned this pronunciation as a child and to her it is easy. So have fun with it. She also tells people who ask that those who translated the bible into English changed Moses’s wife’s name from tziporah to ziporah. And that the tz is the Hebrew letter tzaddie and the z is the Hebrew letter zayin, and changing the letter changes the meaning of the word. There is no such word in Hebrew as ziporah. And since Tziporah was also the daughter of a Midian priest, Yitro, he would most likely bless his daughter with a name that reflects nature. TZiPi is now her legal name, and Vivien, her English birth name, is her middle name, to honor her parent’s choice. She has kind-fun with people as they try to pronounce her first name. And she offers parts of what you read above in building a connection with those who are curious and interested. Sign Up for TZiPi’s Newsletter and Receive a Gift! Based on Tzipi’s year-long travel adventures. 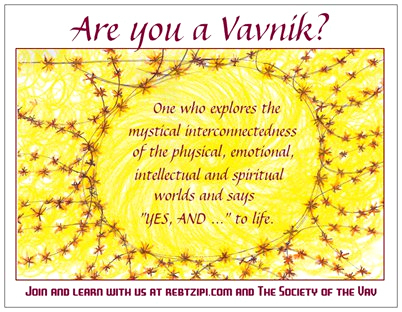 Listen and learn as the Reb TZiPi, the creator of the Society of the Vav reads some of her more insightful and provocative blog entries. Where did the idea come from to begin? Who are her heroes? Where is the connection to Hebrew Wisdom? Everything about Judaism and Her Hebrew Wisdom honors relationships and their transitions and we remember the One of All Blessings at moments of change within our lives. We were originally boundary crossers, the Hebrews, Evrits, and know the importance of acknowledging shifts in energy as we move from place to place. Each event is unique as is each individual. I invest our time in getting to know you whether you are the new parents, grandparents, lovers or mourners. My intention is to build a working collaborative relationship, to listen deeply and to help you get what you want. I am interested in the people and the context within which each transition is happening. I read the Torah text associated with the time of the ritual and pay attention to the season of both the secular and Hebrew calendar and I research the mystical components of the ritual to include all elements to making this a holy moment. I am curious and open to what those in transition are wanting. The exploration depends on the needs of the people involved. Sometimes you may leave it up to me and other times you will want to work closely with me. I am resiliently yours. And I honor Hebrew Wisdom tradition that Shabbat is the holy of holiest days and no other joyous celebration can intrude on Her. Therefore I choose to perform ketubah or Covenant of Love signing rituals and wedding ceremonies before or after Shabbat. Simchat Bat, the Joy of A Daughter: This is a relatively new ritual to celebrate the birth of a daughter that has evolved as opposed to the circumcision of a newborn male on the eighth day. Debra Nussbaum Cohen, Celebrating Your New Jewish Daughter, has written a wonderful book that helps parents create rituals that welcome a baby girl into the Covenant. 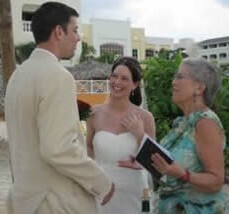 Weddings: The intention in this ritual is of creating a community within which the couple makes a public statement of their love and commitment. Some weddings have been co-officiated. This is accomplished during working with the couple exploring their hopes and fears and deepest desires. 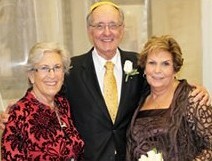 Anita Diamant has written a book called The New Jewish Wedding that is useful. Death and Mourning: Death is natural and inevitable and it is important for those in mourning to acknowledge the one who has died and passed over as well as the emotions that arise. Hebrew Wisdom and Jewish laws can help the mourners to work through this narrow place. 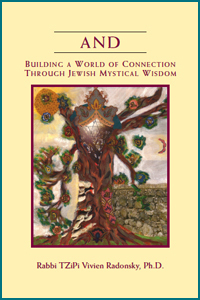 Anne Brenner has written a very useful and comprehensive book called Mourning and Mitzvah. In many of the rituals I create the people want a rabbi and Hebrew Wisdom rituals and the people are not both of the Jewish heritage and so they become interfaith rituals or rituals of love. I am so delighted to be called in these moments where people want to honor each tradition from which they came. In these times we begin to see universal truths that cross all boundaries that might have been set. Love is the soother of all separation whether it is in birth, death or marriage. I set a kavanah, holy intention of the heart, to build community and deepen relationships by welcoming all present in my language, explanations and inspiring joy. I take great pleasure in looking forward to co-creating more wedding rituals between women and women and between men and men. These are just a few of the many moments of change that can be created. Rabbi Phyllis Berman and Rabbi Arthur Waskow have written A Time for Every Purpose Under Heaven about the many different kinds of rituals that can be created to acknowledge the passing of time and what gifts She brings. From birth to death rituals are woven into our life to give attention to these transformational moments. Ask me about how we can work together to water the Tree of Hebrew Wisdom whose core value is love wherever She wants to grow. I am who I am because of my nature, my genes, culture and because of all those who have influenced my life. In honoring those connections below are some of those who have nurtured me over the years. Please use the button below to make a payment at PayPal. Simply enter your payment amount in the empty “price” box at PayPal. Thank you for business. It is great working with you. Confused and curious I knew that this was an important piece for my growth. So several months later when my daughter came to visit and asked why each clock in my house and car were different times, I knew this comment was connected to my relationship with time and truth. Then I began to think about the world ‘friend’ and what does that have to do with time? And I began looking at my friendships and what were the characteristics that reflected my relationship with time. Then I stopped using the phrase ‘dead line’ and noticed how life flowed easily when I was in a more allowing fashion, honoring both the time set for the goal and my need to produce. And I began to notice when I relaxed with deep breathing versus the shallow breath tension brings to the body. Then I sang or chanted a phrase or laughed and I got to the right place and at the right time. I am still learning that without rushing I can get everything I need to do done, when I slow down and stay focused. As I pondered my dilemma, the phrase ‘guest consciousness’ came into my mind. Being compassionate for both her and myself was a learning process for my whole journey. As I moved from not thinking I mattered in the world, to noticing that I am matter, therefore, my presence or absence makes a difference. I laugh when I think about my teacher’s phrase, ‘your shyness does not suit you.’ No need to hide behind anyone or anything. I am seen. I began to think who is my lover and I heard the phrase ’treat yourself as if you were your own lover’. Wow! What a thought, again, stopping me in my tracks to figure out what would that look like for me. What do I do for my lover, or I see them do, that I can learn from. Basics: listening, feeding, beauty, saying ‘yes.’ So I started listening to me, making sure I had good food in the house, made my dining table pretty with a mat and cloth napkins and flowers. And I began to notice when my heart wanted something and I said ‘no.’ Like the morning I wanted pancakes. What a conversation I had with myself that Sunday morning! And finally I gave in, got dressed and went and stood in line in the most popular restaurant in town and ate the most delicious pancakes I can still taste! Life is improvisational and we are continually learning to dance with the needs of the moment and building bridges between people and things, emotions and thoughts in our heart-mind and honoring the Divine nature of everything. We are paradoxically unique entities and we are One, interconnected!